How strictly this order is followed, and what level of planning and documentation is reached, will depend on the requirements of the business and capabilities of the software. A 'waterfall' approach to the SDLC would see each of these stages carried out in linear order, with detailed planning and risk assessment before coding is even begun. The 'extreme' approach involves a lot less planning and documentation, and focuses more on coding and continuous re-testing, ideal for a smaller system, or one where new components are being added as an ongoing process. ConceptDraw DIAGRAM are primarily a macOS tool and you can use it to draw many UML diagram types. From the ConceptDraw DIAGRAM File menu, select Import. 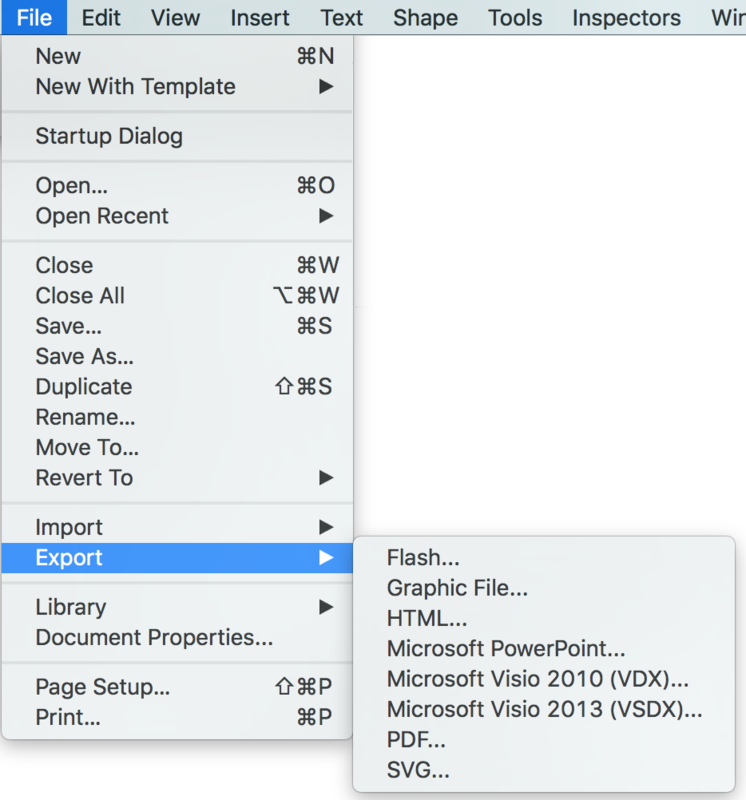 From the Open window, select the desired MS Visio file to be imported. Click Ok.
From the Open window, select the desired location folder. Click Ok. The document of ConceptDraw DIAGRAM with UML Class Diagram is a vector graphic document and can be reviewed, modified or convert to a MS Visio format. 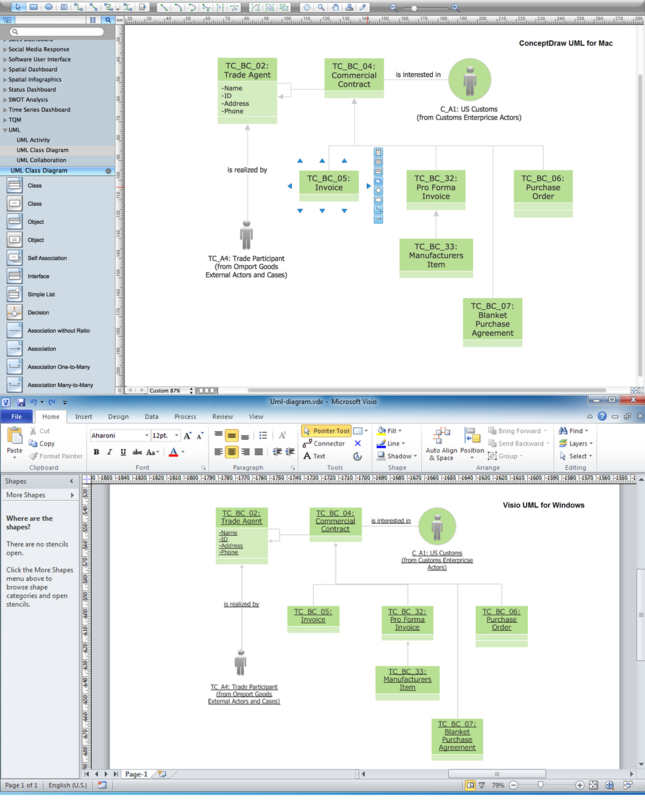 This sample shows the UML Class Diagram that was created in ConceptDraw DIAGRAM on the Mac and then was opened for editing in MS Visio. This sample describes the trade relations and can be used in business, in commercial relations. Using the 13 libraries of the Rapid UML Solution for ConceptDraw DIAGRAM you can create your own visual vector UML diagrams quick and easy.